But the country's government could have done better on mining, an Austrade official says. MANILA, Philippines – While there is a positive feedback from Australian companies about doing business in the Philippines, the administration of President Benigno Aquino III could have done better on the mining issue in the country, a senior trade commissioner said on Tuesday, January 20. 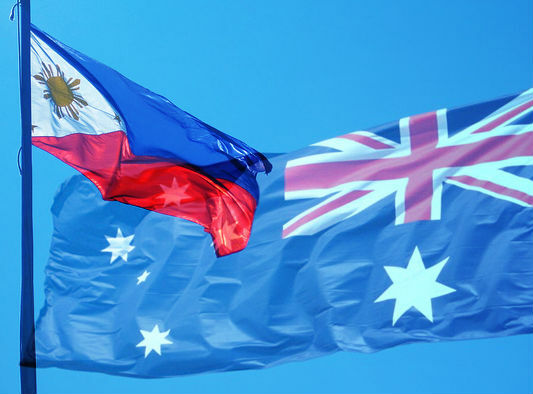 Speaking during the 70th anniversary celebrations of Australia-Philippines bilateral relations, Anthony Weymouth, senior trade commissioner for Philippines and Micronesia said, “there are issues surrounding mining that the (Aquino) administration has to work through and we’re happy to help them there. It’s just a matter of combined interest to progress the issue,” Weymouth said. Foreign chambers of commerce in the country are asking the Aquino administration to include mining, particularly to make foreign investments more competitive in the industry, and that the government should uphold and enforce the Mining Act of 1995. Weymouth cited how the supposed Tampakan Project in General Santos City, where Australian exploration company Indophil has 37.5% stake, could have generated 4000 jobs. “Potentially, if you have a flagship mining project taking off in the Philippines, that would invite larger investment for that sector which could contribute at least 2% tothe GDP (gross domestic product),” Weymouth added. The Tampakan Project, one of the biggest gold-copper mining prospects in Southeast Asia, has been met with protests by indigenous groups since it has been on hold in 2010, following South Cotabato’s local government ban on open-mining in the area. “There’s been a lot of noise in this administration’s mining policy, and there has been a lot of talk in that space, but not a lot of clarity to what the outcome may be,” Norman added. Currently, OceanaGold has a $400-million investment in the Didipio mine in Nueva Vizcaya and has been a major player in the mining industry, which is set to rev up investments in the next 10 years. The site has also been noted by the Mines and Geosciences Bureau (MGB) as one of the major players in 2015. MGB reported that gold and silver production in the country experienced growth from January to September 2015 after depositing a 19% and 34% increase, respectively. The yellow metal improved from 12,996 kilograms (kg) to 15,485 kg while the white metal increased from 16,433 kg to 21,974 kg. Despite the challenges met in the mining industry, Weymouth said there is a general, positive feedback from Australian companies doing business in the Philippines, especially in infrastructure and education. 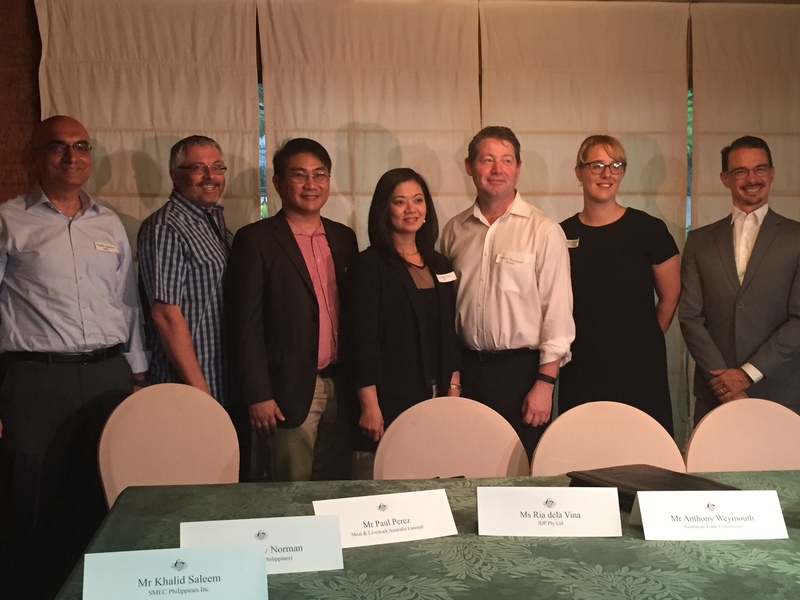 To date, there are already 250 Australian companies in the country, employing 30,000 Filipinos. “I think in the senior level, there’s a great effort to improve and do better. Trickling it down to the grassroots level is of course, difficult. But overall, there’s been great progress,” Weymouth added. Khalid Saleem, general manager of SMEC, an Australian professional services firm, has shared the company’s interest to invest in the upcoming Light Rail Transit extension project and North Luzon Expressway-South Luzon Expressway connector road project. “It has gotten better. I’ve even had some overseas clients expressing their appreciation on how the Philippines handled its infrastructure projects. Personally, for the government to lay out numerous PPPs (public-private partnerships)in a short amount of time is amazing,” Saleem said.